Made from the castor seed, castor oil is high in triglycerides and ricinoleic acid. These two items make it a potent medicinal oil that can be used both internally and externally. For some, having castor oil is the cure-all to their ailments. Good for the skin, digestion and hair, castor oil is a tried-but-true remedy. 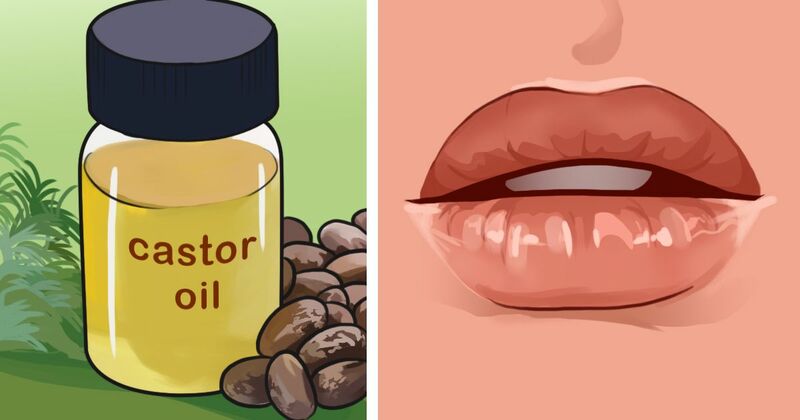 Check out the 7 things that castor oil can do for you. You may decide to become a faithful user of this vegetable oil. 1. Constipation. WebMD says that castor oil taken orally acts as a stimulant to the intestines which may aid in relieving constipation. Consult your doctor on dosage, though. 2. Relieve dry, itchy skin. Another great use for castor oil is hydrating dry skin. Medical News Today says that castor oil may contain a humectant, allowing it to draw moisture from the air to hydrate your skin. Whole New Mom offers an easy lotion recipe. Combine 3/4 cup shea butter, 4 tablespoons castor oil and 5 to 10 drops of lavender oil, Roman chamomile or carrot seed oil. Whip the shea butter and oil together to get the consistency you want. Add your essential oil and mix some more. Pack it into jars and use freely. 3. Clean face. Castor oil contains antimicrobial properties which may help prevent acne. It also is thick enough it won't clog the pores and create blackheads. SC has several recipes for facial cleanser. For oily skin, you want to mix 1 part castor oil with 3 parts of safflower oil or primrose oil. For combination skin, mix 1 part castor oil with 4 parts Argan oil. For dry skin, mix 1 part castor oil with 10 parts Camellia oil. 4. Treat acne. This thick oil contains ricinoleic acid which can help keep acne from forming and help heal acne that is already in place. Good Health Academy makes a castor oil mask by mixing 2 drops of castor oil, 2 drops of almond oil and 1 drop of camphor oil. Apply this to your face at night before bed and sleep with it on. Clean it off in the morning before applying your makeup. 5. Add shine and growth to hair. Some believe that castor oil will cause the hair to grow faster and healthier. Dr. Axe recommends making a hair mask from 1 tablespoon castor oil, 1 tablespoon olive oil and juice from 1/2 lemon. Massage this through the hair to the tips and letting it sit for 30 minutes before washing and styling your hair. 6. Treat fungus. Because castor oil has antimicrobial properties, some think it may help treat fungus. If you want to try to treat jock itch, ringworm or athlete's foot, Mercola recommends warming the castor oil and applying it to the affected area before bed. Apply every night for about a week or until the fungus is gone. 7. Reduce pain in joints. Castor oil has anti-inflammatory properties which some believe may help with joint pain. Dr. Axe recommends rubbing the castor oil straight onto the bothersome joints and then using a hot pack afterwards. He recommends doing it twice a week. Castor oil has some great medicinal properties. Be aware that some people may be allergic to the oil, so test it on a small area before going crazy with it. Who knew that one simple vegetable oil could be so helpful?